1) Grind the methi daana very coarsly in the mixer. Ensure that there are no whole seeds. Every seed should be broken.This broken methi daana is known as Methi na kuriya. 2) Now add salt, red chili poweder, hing and turmeric to the methi daana. Mix well. 3) Heat the oil in a kadai. Add the oil to the methi daana mixture. Mix well. 4) Let it cool down. Meanwhile proper wash, clean and pat dry the mango and cut it into small pieces (throw away the seed/ Gotlo/ Gutli). 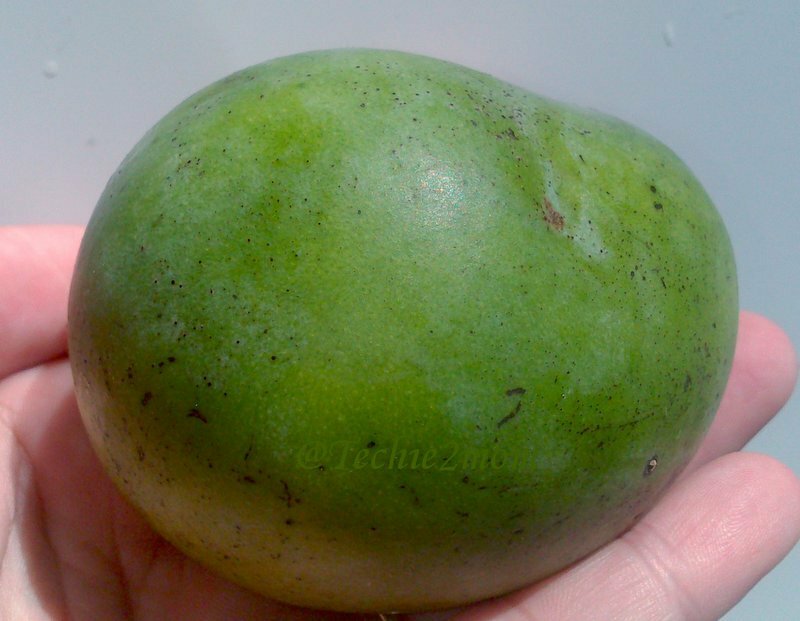 Mango – About to get pickled!! 5) Now, mix the mango pieces with the prepared methi masala. Mix well. 6) Keep this mixture in a glass bowl and cover. Mix it properly everyday for 3 days. 7) And on 4th day, your pickle is ready!! 8) If you want to store it for the year (which unlikely with this small amount, but still) then heat more oil and add it to the pickle. Mix well and store in a glass jar. If planning to finish off within few days, then don’t add extra oil. 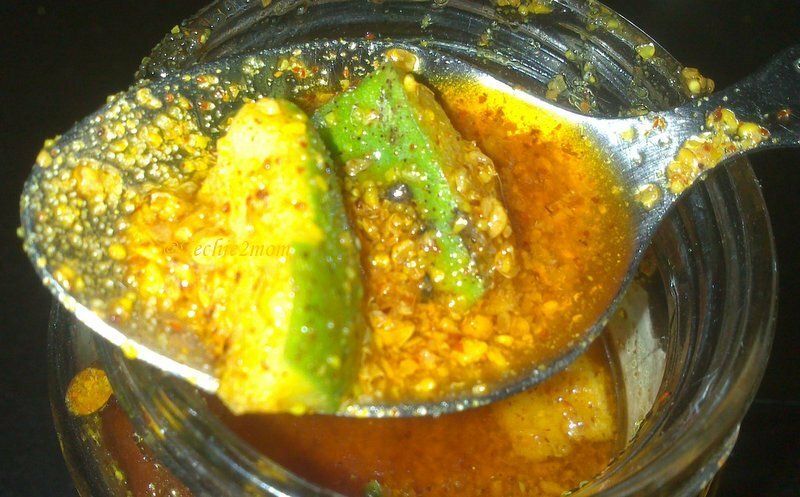 You can enjoy this pickle with Muthiya, Khakhara, Rice, Khichdi, dhokla, bhakhari or anything that comes to your mind!! I even add a little masala of this pickle to My Daal!! 1) This is a bit modified recipe. Original recipe says use 5 kg mango, 500 gms methi, 1 kg salt. But that was too much for me…So i reduced the salt amount. You can go ahead and make it as per this. Previous Post: It’s raining Awards!!! Different pickle. I will try soon. Ahhhh!!! Any kin of mango pickle and of course this version of yours are my fav condiments. Never a day passes by without pickles for my rice. Love to try such a pickle recipe. Sorry for the late reply, was busy since some days..
that is new to me!!! super tempting… very different type of pickle!! 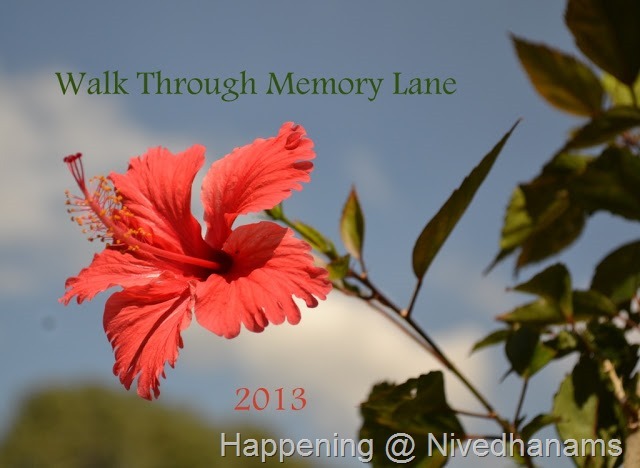 Thanks for linking it to my event!! Looking for more yummy recipes!! Picklessss,am drooling dear 🙂 Bookmarked!! Wow.. sure feels like a super tasty pickle. I too have fond memories of picles made my grandma. Every year she would spend two months making pickles for everyone in the family. Afterall, Andhra and hot spicy pickles go hand-in-hand. No wonder the place used to smell like pickles for one more month. LOL 😀 Now, amma makes those pickles in small quantities.. but I sure miss those huge Jaadi's of pickles landing from her every year. WIll try your recipe too! 🙁 Nevermind.. let me say it again. I loved reading about your pickle memories 🙂 You you can make a post out of this??! would love to read about it…Ohhh i know all about that smell of pickle!!! Fond childhood memories and lovely pickle. 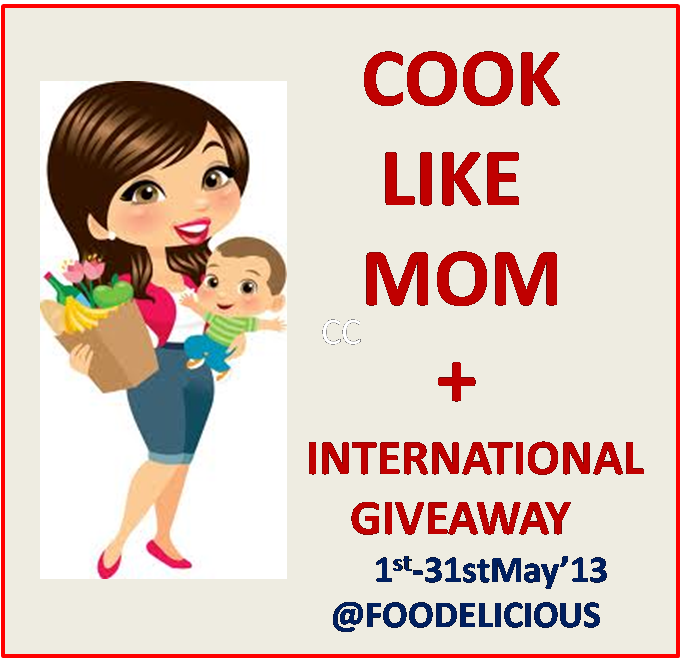 Thanks fr linking it to Cook Like Mom. Wow, no oil!! That sounds amazing..Would love to try that, can you plz share your recipe?! wonderful pickle,looks simple.wish i could have it. thanks for following me,i am happy to follow you. i make my athanu without oil too, with methia masalo? By any chance r u gujju? cause i am. thanks for stopping by at my space. Wonderful post with yum recipe.i think will taste very good with dal & rice. Yup, it goes well with dal rice also!! Tangy and yummy pickle. Wish to have with curd rice.